Fiesta® Dinnerware exhibits deep bright color, is durable and has a timeless design. 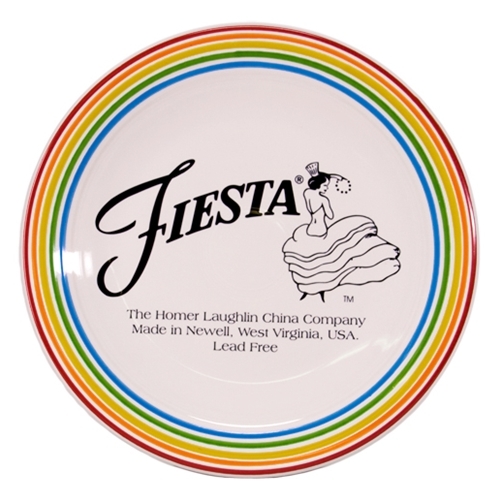 For over 25 years, Canton Dish Barn has been offering the very best selection of Fiesta® Dinnerware made by the Homer Laughlin China Company in the USA. We are located at Creekside Shops on Dealers Row at the world famous First Monday Trade Days! The Canton Dish Barn is a Fiesta® Dinnerware Merchant with a First Monday Showroom as well as online at CantonDishBarn.com. Our inventory is filled with all the latest and greatest Fiesta® Dinnerware items and colors. Click here for more location and contact information including phone numbers and hours of operation. Browse selection of over 1,300 Fiesta® Dinnerware Items including Fiesta® Plates, Bowls, Vases, Mugs, Glassware, Teapots, Platters, Bakeware, and more! Use the navigation menu above to browse our Fiesta® Dinnerware Catalog by Item, by Color, by Seasonal and Decorated Fiesta® and by Licensed Products such as Tervis® Tumblers, Thirstystone® Coasters, Utensils, Cutlery, and Linens.